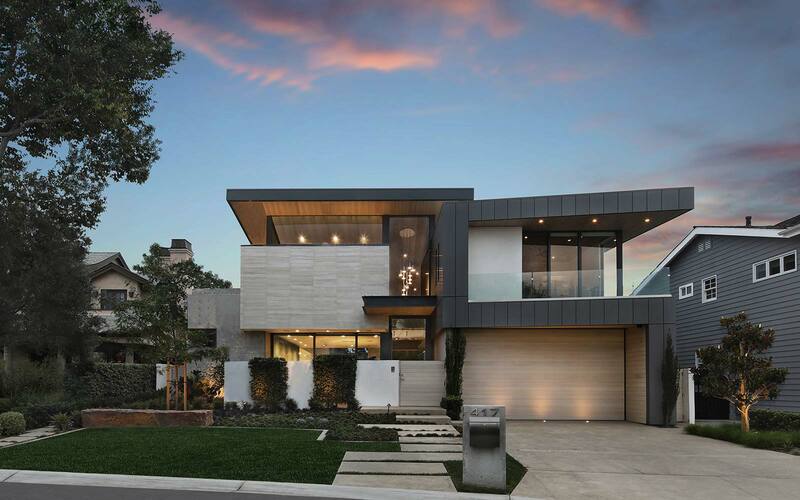 How do you marry a love for contemporary architecture and interior design with an end goal of producing a cozy, functional family home? That is the challenge our homeowners faced during the design and build of this unique home. 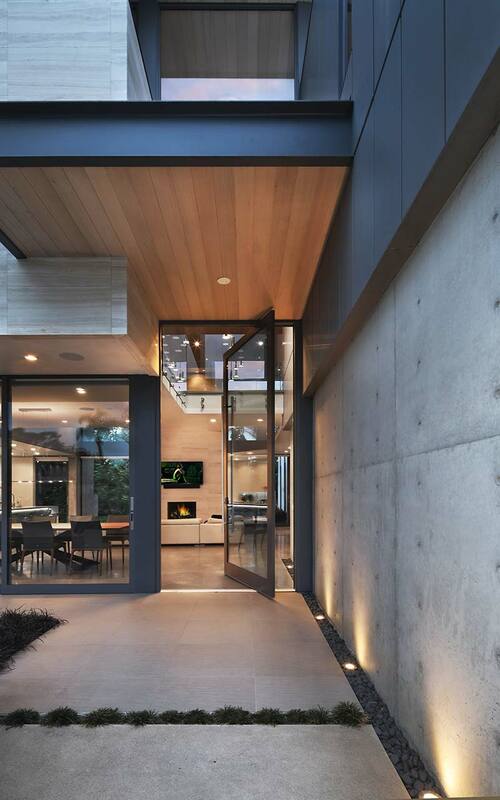 Luckily, with the collaboration between Brandon Architects, Ultra-Mod Home Concepts and Patterson Custom Homes, we were able to interpret the homeowners’ wishes and produce a residence they were unsure how to ask for. 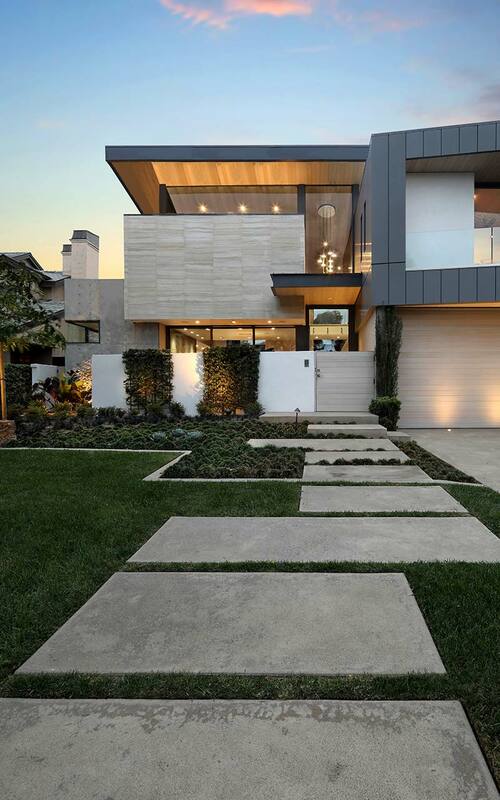 Several materials were used on the front elevation to ensure the home’s clean, sophisticated, contemporary presence. One of the notable materials is the German Rheinzink-prePATINA zink cladding. This material goes through a unique pickling process in production called “pre-weathering” which allows the siding to stand the test of time with virtually no maintenance. Once installed, atmospheric influences gradually create a natural patina that develops over time. 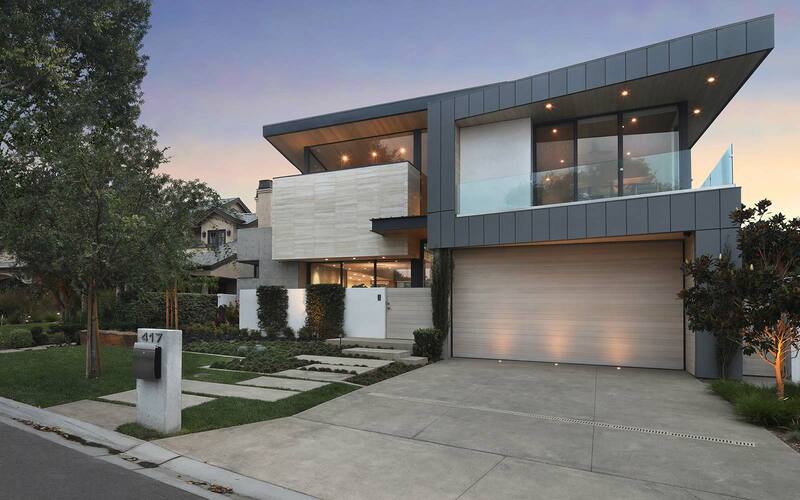 We then used a combination of stucco and Riviera Beige vein cut limestone laid in a stacked bond pattern on the remainder of the walls to add an earthy touch and balance the heaviness provided by the metal cladding. We then ran seven-inch White Oak wood planks across the interior span of the home to the eaves, tying-in the interior and exterior spaces. With material selections specified by Ultra-Mod Home Concepts, the home’s interior features an open concept floor plan at the main living space, a second story cat walk separating the game room, laundry, room, and gym from the secluded master-suite, and floor-to-ceiling sliding glass doors creating one cohesive indoor/outdoor space.